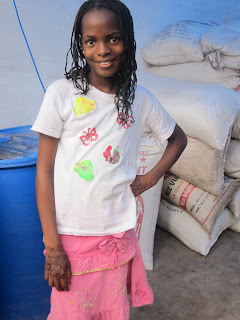 Sia is a young girl who now attends Nimba Elisa School in Conakry, Guinea with the help of GKEF. She is one of the new students who started school last January. 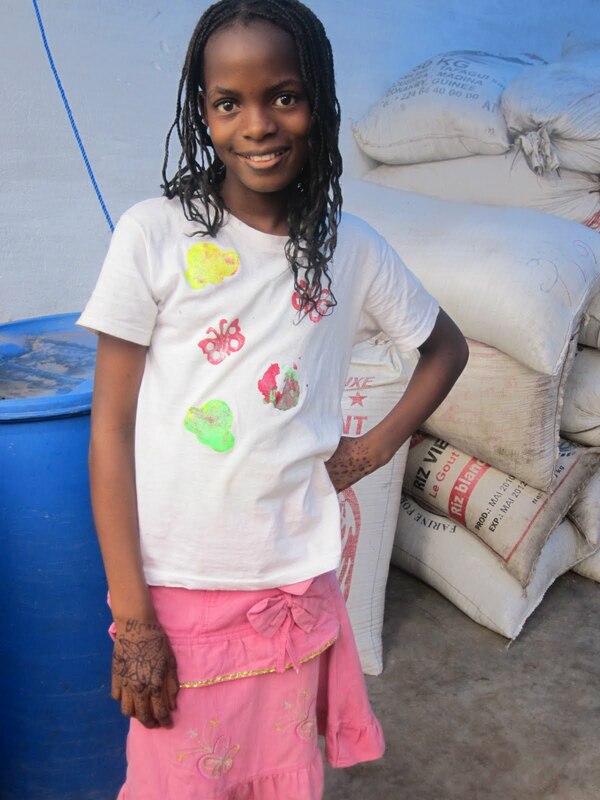 For Sia, the opportunity to receive an education is a special gift. When Sia’s mother was young, she was taken out of school to get married. This was not her personal desire, but was what her family chose for her at that time. Sia’s father was not unsympathetic to his new wife’s grief at not being able to finish her education. And so, when they had Sia they tried their best to send her to school. But as is the case with so many families in Guinea, these caring parents live in poverty and could only afford to send Sia to school sporadically. In addition she had been placed in a level at school that was too high for her. Both of these circumstances could hardly create a successful educational experience for Sia. The day Karim Koumbassa of GKEF came to Sia’s house to tell her parents that we want Sia to go to school with a GKEF scholarship, her mother cried with relief and gratitude. Sia’s father expressed his gratitude as well, acknowledging that it was “because of him” that his wife had been unable to continue in school. We hope this most deserving family can rest a bit more easily knowing that their much desired education for their daughter is now possible. With the assistance of Karim and Soumah, GKEF’s after-school tutor, Sia was placed into the right level for her and is getting ready to begin her first full school year in the 5th Year Class. The school year in Guinea starts this month. GKEF invites you to join us in celebrating the start of our 4th school year supporting children’s education in Guinea later this month! Please RSVP to the Guinea Kids Open House to let us know you are coming!